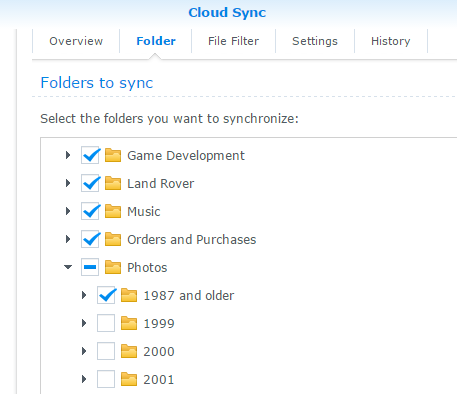 I've had a lot of trouble recently synchronising my files from my Synology NAS box with my OneDrive cloud storage. It used to work but over the last month or so it has just stopped. I am not sure it is the Synology at fault because my phone, even using the official OneDrive apps, has had a similar issue over the same time period. 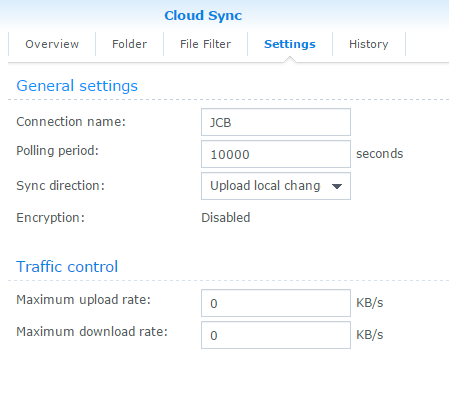 From time to time I have been able to coax the Synology to download files but it has refused to upload any! Today I think I have managed to improve things. 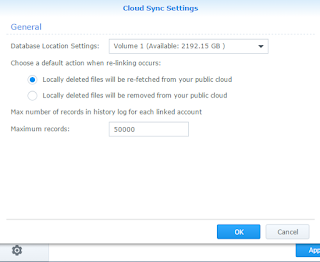 I found a restart of the NAS box triggered a sync. I don't know if that will be required each time but I've made a few setting changes. I also think that changing from bidirectional to one way will also trigger the sync., if necessary. Increase the size of the log. I got the feeling it might have just stopped because the log file was full. There are no settings about what should happen when the log reaches its limit. I've reduced how often the application checks to see if files need synchronising. The default is to check every 5 seconds. If it does this while another sync. is in progress there could be thousands of overlapping processes. I've reduced it to only once every few hours. 10,000 seconds. 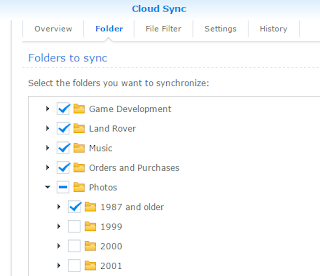 I reduced the number of files that need to be sync'd. I think I was trying to do too many at one time. By removing some folders that did not change very often I reduced the count from over 200,000 files to less than 4,000 files. I'll get it up to date in batches. 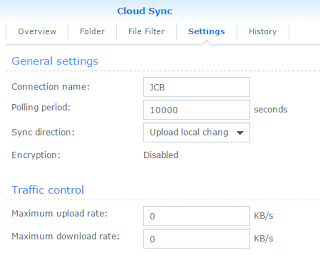 I've also set a 5GB limit on the file size that will sync. but as I have few files that large, it is unlikely to make much difference. It is, at the moment, uploading files, so for the time being it is working. File sharing products like Dropbox, OneDrive and Google Drive are made for consumers not for business. When you start using it for your company you will discover that you miss some features. Therefore my company use data room provider. My article is about home use and since writing it Synology have updated the software which works much more reliably. Data rooms are typically very expensive but have their place for some applications. There are other file synchronisation services aimed at businesses that are much more cost effective. Currently we use Egnyte at work.